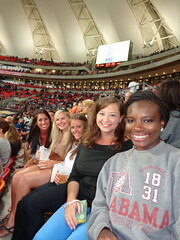 Studying abroad can seem overwhelming at times, especially if you have not traveled before. Going abroad with the right mindset can make a major difference in your experience and can help you to truly enjoy other cultures and make your trip the best that it can be. One of the most important things to remember when traveling someplace new or unfamiliar is to keep an open mind and embrace other people and their cultures. This is applicable whether you are overseas or right in your hometown. You may be surprised to find that you have more in common than you think with people who seem so different than you. Be careful not to judge others for the differences that you do find. Instead of thinking that what they eat, wear, do, etc. is strange or weird, ask why it is they do what they do. Many times, when meeting people from other countries or cultures you will discover an interesting story or custom that is tied to that person’s background. This may all sound easier than it actually is. As human beings, it is our natural instinct to judge others who are different from ourselves. But over time, you will find that you can change your behavior to be much more accepting of those with different backgrounds. Especially when going abroad, view differences with others as an opportunity to engage with them and find out more about their culture and customs they participate in. You will gain more by doing so than you ever could from reading about it in a textbook. So the next time you cross paths with someone unlike yourself, take the opportunity to start up a conversation with them. We would love to hear about how it turns out! Already have a great story about connecting with other cultures? Feel free to share it with us! 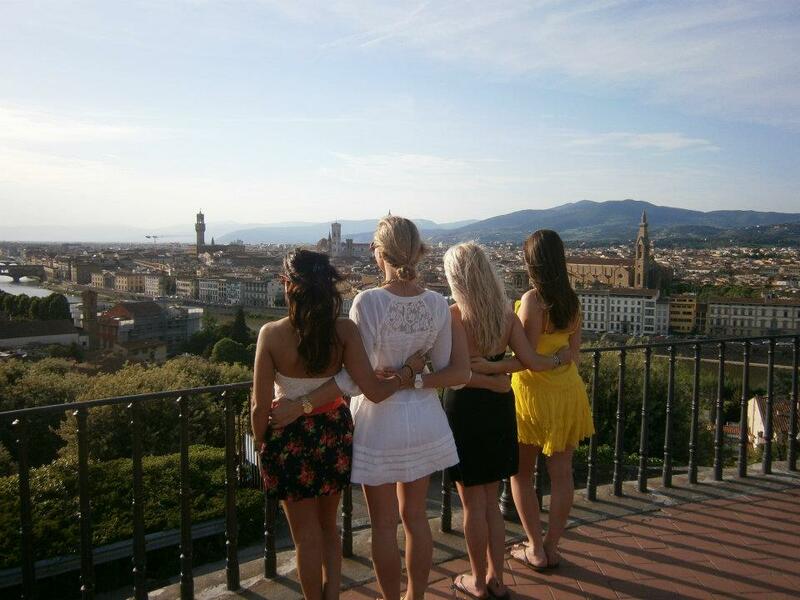 It’s hard to believe a year has passed since I began my study abroad experience in Florence, Italy. During my time overseas, I fell deeply in love with the Italian culture, and fully realized the potential and importance of travel for a young student. My time abroad brought out inner passions I never realized I had, and helped me grow into the worldlier person I am today. And I miss it so much. Since returning to the United States, not a day has passed that I don’t reminisce my time in Italy. The food, the people, the history, all the vespas, everything! The best part about falling in love with a foreign destination, though, is that you can always return. In fact, as you read this post, I’m making my way to O’Hare. Today, I’m hopping a plane back to Italy, the country that still tightly holds my heart. Flooding thoughts distract me as I prepare for my trip back. I daydream about the monuments I have yet to see, the food in which I will indulge, the culture in which I will re-immerse, and the old memories I will reminisce upon. Bittersweet feelings sway over me when I get lost in these thoughts, and I’m curious to know how I will actually feel once I’m there. Will I feel grief? Will experiencing the wonders of Italy once more make me long for the memories of my study abroad semester? Or will those old happy feelings will resurface? I know revisiting my old apartment building, school, friends, and my favorite square that overlooks the entire city of Florence will bring back memories that truly changed my life. I spent countless moments discovering myself at these places and with these people, and experiencing them again, with a year’s perspective, will be…what, exactly? I’ll let you know when I find out! Regardless, I am beyond excited. I can’t wait to tour the Sistine Chapel, a long awaited visit I can’t wait to see in Rome. I burst with happiness when I think about reuniting with friends that still live in Florence, as well as indulging in my favorite delicacies from the local cafes and restaurants. I plan to fill my days with Italian fashion, cooking, scenery, and culture to recall on all of the intense amounts of joy I felt during my study abroad experience. 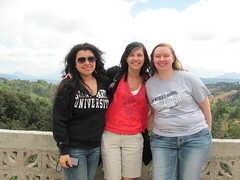 Above all, I hope to spend time reflecting upon the way my study abroad experience has helped define who I am. I hope to come home even more grateful for my time spent studying and sightseeing in Italy, and as motivated as ever to continue to my travels of the world. Today, I will be returning to the United States after spending the last two and a half months in India. I don’t know how you all feel about the question, “So….how was your trip?”, but I hate it! How can I even possibly begin to explain what has just happened to me in the past two and a half months in India? Yet, the best description of an experience like studying abroad came from one of the students at my hostel during one of our tea time discussions: studying abroad is like a relationship. In the same way you can’t simply answer questions about the health of your marriage or relationship, you can’t describe the good and the bad of your study abroad experience in one simple response. It seems that this is the type of relationship I have with India. Stage 1: My first date with India. I arrived in India on May 16, 2012. Like most first dates, the first day was a little awkward. I watched a man pee on the side of the road, walked around the streets feeling very aware of my whiteness, almost got hit by a few rickshaws, and ate food that I did not recognize and was too afraid to ask what it was. Stage 2: Getting comfortable. It wasn’t until I arrived in Mumbai, after spending a week in Delhi, that I began to feel like this relationship between India and I could really work. I stayed with my friend’s sister and visited an old friend from Eastern who I had not seen in two years and didn’t think I would ever see again. I even wore a saree and was fed lots of delicious food (this time I was comfortable enough to ask what it was). Stage 3: Is it love that I’m feeling? After Mumbai, I spent two weeks at the Asha House, a children’s home near Delhi. Here, I fell in love with 29 beautiful children who accepted me immediately upon my arrival. They tried (and failed) to teach me Hindi. But, they taught me cricket and seven stones, while I taught them how to do the Hokey Pokey. Stage 4: Could India be the one? After my stay at the Asha House, I ventured down to Hyderabad, the location of my study abroad program. In Hyderabad, several Indian families welcomed me into their homes, and it was here, in Hyderabad, where I attended my first Indian wedding, mastered the art using Indian public transportation, and made friendships that will last a lifetime. I felt less like “a foreigner” and more like a part of a community. Like most relationships, not everything has been perfect, including the times I have been ripped off by rickshaw drivers and shopkeepers, when the power goes out every five minutes for just enough time to disconnect my computer from the internet, and the internal struggle I face every time I see someone throw their garbage on the side of the road. But, I guess this is just how it is with relationships: you accept the other for the good and the bad. 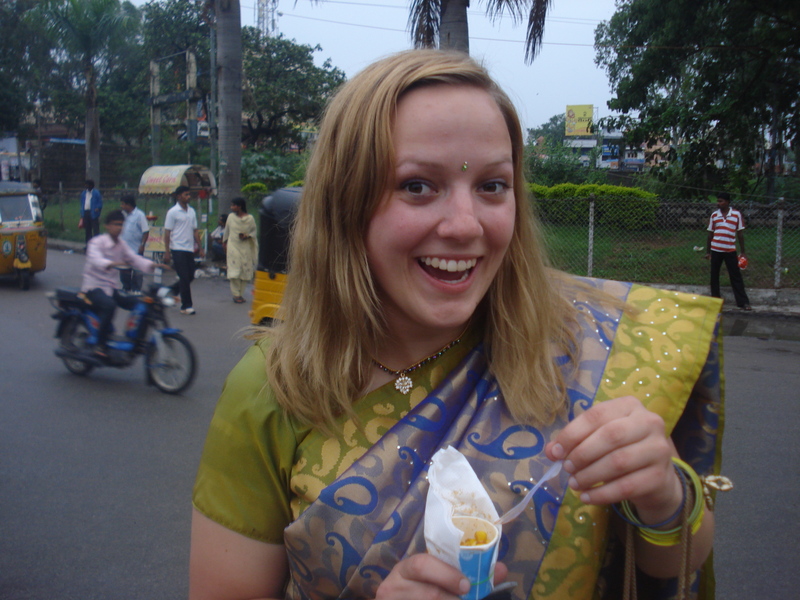 Although I have been in India just two and a half short months, I think I might just be in love.